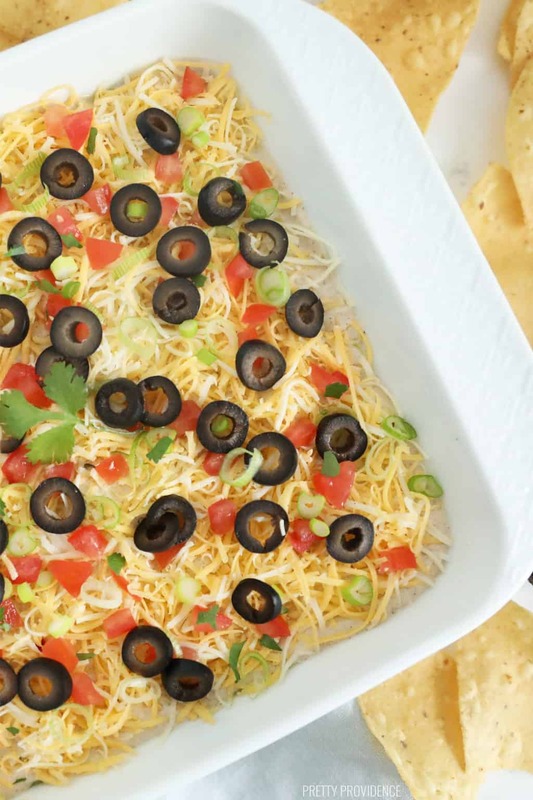 This is the best seven layer dip recipe ever! It’s the perfect appetizer for game day, cinco de mayo, or anytime you’re craving a salty snack. A total crowd-pleaser! Where are my seven layer bean dip lovers at? There are few things that get me excited like this stuff does. I have always loved it, but as I’ve made it over and over throughout the years, I’ve really worked my recipe into what I think is the BEST 7 layer bean dip ever. There is actually a secret ingredient in it that just takes this 7 layer dip to another level. Can you spot it in the pic below? If you think it’s the mayo, you’re right. Mayonnaise in seven layer bean dip! Have you ever used it? Also, I like to use refried black beans in mine. Because, yum. What are the 7 layers of bean dip? 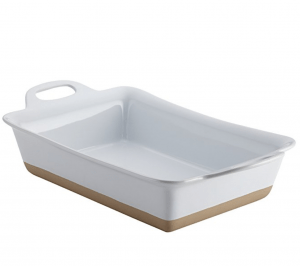 You’re going to want to file this one for your next bean dip occasion. Last year when I was pregnant, I decided that the entire month of March was a seven layer bean dip occasion. It sustained me and baby June for that month. Now I kind of wish I had an excuse like that to eat this every day. I like how not only are there 7 layers, but also it only takes seven easy steps ’til you’re stuffing your face. I love it I love it I love it. If you like hummus, I also came up with a greek seven layer dip made with hummus that is SO GOOD and you can eat it with less guilt. Here are some of the items I use to make this recipe easier. 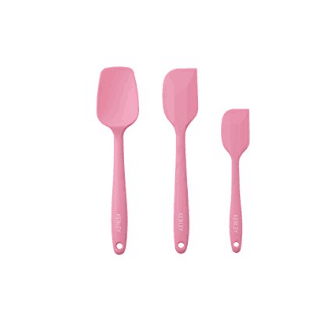 Rubber spatulas are a must! 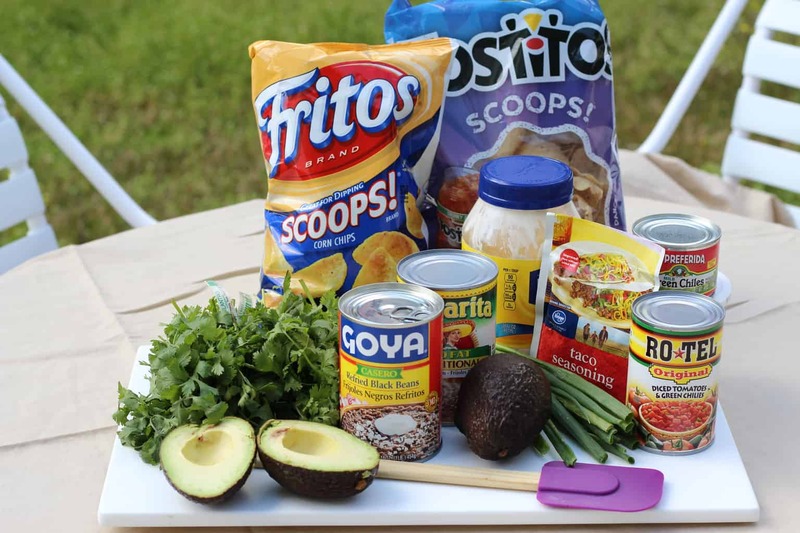 The best 7 layer dip recipe ever, made with refried beans, guac, mayo and sour cream, and more. 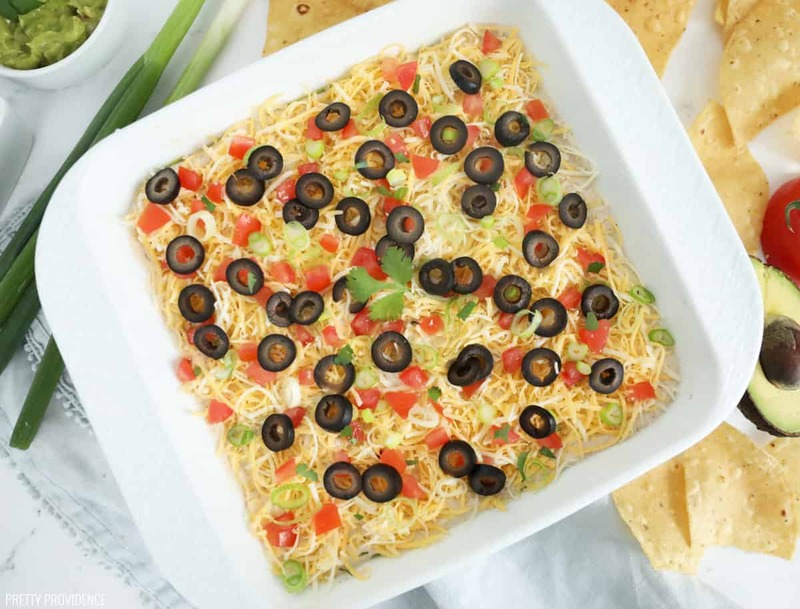 This layer dip is perfect for the Super Bowl, any game day, or cinco de mayo! 1/4 cup ro-tel or 1 small chopped tomato if you aren't lazy like me! Mash avocados with garlic and salt to taste. 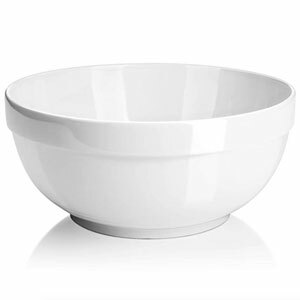 Mix sour cream, mayonnaise and taco seasoning together in a small bowl. Spread refried black beans into the bottom of a 9x13 dish. Spread seasoned sour cream mixture over guacamole. Sprinkle cheese, ro-tel, olives and green onions over the top of those layers. One of my favorite party appetizers! So so delicious! This dip is soooo good, it’s seriously addicting!!! I tried this the other day when we had some friends over and can’t wait to make it again on Sunday for the game! Thanks! Seriously it doesn’t get better than this for game day! I’ve never met a 7 layer dip I didn’t love! Thanks for the recipe! It’s just the perfect appetizer, any way you do it! easy and perfect. a family get-together favorite!